One of the most common stressors that people face is around their finances. 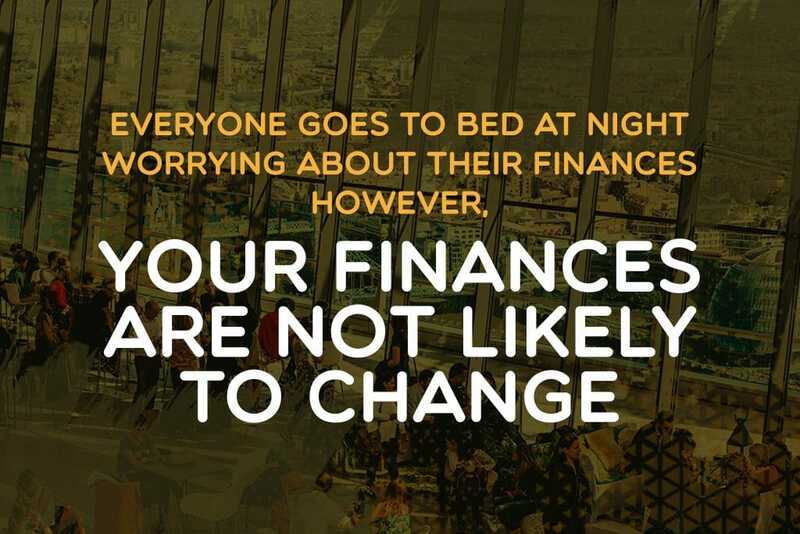 Financial stress can keep you up at night, make you ill and negatively affect your mood. Contrary to popular belief, you don’t need to earn a six-figure salary to achieve financial peace of mind. You just need to alter your mindset and make some practical changes to your finances. Here for four ways to achieve financial peace of mind. People with this mindset will have more debt than they can handle, with no savings and no plans for retirement. Fortunately, achieving financial freedom is possible, but having a negative mindset will not help you get there. Once your mindset has changed, you will find it easier to manage your finances effectively. Managing your money doesn’t mean that you can’t spend it on anything other than the essentials. It means that you should be aware of what is draining your finances, and what you’re spending it on. When you don’t know what you’re spending money on, you’ll end up wasting it, falling short and accumulating debt. Having a detailed budget is vital. With each income you receive, you should make a new budget to spend it correctly. Once you have a plan for every dollar, there shouldn’t be a need for credit cards and other things that accrue debt. The accumulation of debt is a substantial drag on your finances. Having debt that you don’t deal with will only cause more stress, and it definitely will not provide financial peace of mind. Calculate an amount of money to pay towards your debt every month. This figure should remain constant until the debt has been eliminated, so make it a priority payment that is paid in the beginning, along with other essential expenses. Another thing that could cause stress in your life is the lack of planning for your future. With your debt paid off, you will have excess money to put towards the future. A good idea would be to put the additional finances into investments that will grow over time. This way, you won’t even have to think about putting money aside or risk spending it frivolously. Also, the money you invest will grow exponentially over the years, until you’re ready to retire comfortably. When trying to attain financial peace of mind, your mindset is the first thing that has to change. Once you have a positive attitude towards managing your money, you can make detailed budgets and start to chip away at your debt. Think about it – when you achieve financial peace of mind, what could stop you? Don’t hesitate, start making the changes now.